Last week I mentioned that I am starting to save for a deposit on a house and have been learning how to save smarter and budget! I shared with you the Aviva Financial Personality Tool which is a handy to tool to help you learn how to #SaveSmarter whether you're looking to buy a new car, a holiday or buy a house like myself as well as their Budget Planner which I found very handy. I am ditching the takeaways and cutting down on unnecessary purchases for saving all of my spare cash in hope to buy my first home in a few years. I am pretty happy with how the house is looking now apart from a couple of finishing touches so at least that means no more big Ikea deliveries and I have already bought a lot of the kids holiday clothes for the Caribbean later this year which saves me having to splash out for new clothes. It's going to be hard but I know it will be worth it in the end to have my own house and decorate it the way I wish! 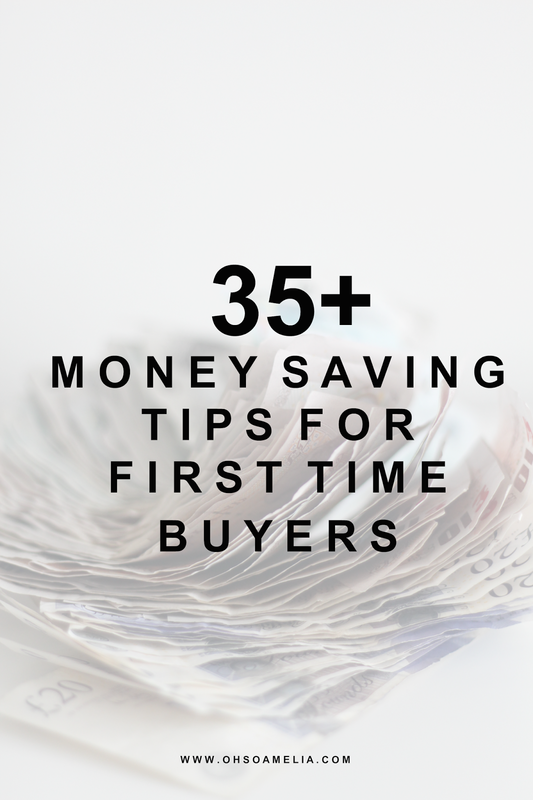 So here are 35+ money saving tips for first time buyers. Not only are these tips great for first time buyers but they could help with what ever you are saving up for, whether it be a new car, a family holiday or home renovations. The first step you need to do is sit down and work out your monthly income and expenses. How much disposable income (spare cash) do you have left over after all of your bills have been accounted for? This way you are able to work out how much you have to spend on luxuries and how much you're able to put away in savings. This is also a good opportunity to decide on things that you could cut back on. I recently opened a Help to Buy ISA as I had recently opened a new bank account and noticed they had this option where you can get a 25% tax free bonus! You open the account with a minimum of £200 and a max of £1,200 in the first month and then if you transfer £200 into it every month the government with pay an extra £50 to your fund. I thought this was a pretty good deal, because if you saved £12,000 then you're getting an extra £3000 on top of that. You and your partner could both open an account and receive a total of £6000 absolutely free! It's also a good idea to start an emergency fund. As well as my Help to Buy ISA, I also have an online savings account where I have been putting some extra cash in where I can. Having an emergency fund can be useful if you have any emergency bills to pay or the washing machine breaks but also means if you don't need to use it, you'll also have a good amount saved up when you move into your new home. I'm such a bad impulse buyer. I see something in the shop, I want it, I'll buy it! Same with online shopping. I need to stop doing this and actually think to myself do I really need this? The same goes with takeaways, I'll start craving one then think wait let me save £20 and use what I already have in the fridge instead of letting it go out of date. I've also started transferring the money what I would have spend into my savings account. Sit down and go through your monthly expenses, do you really need that monthly magazine subscription, could you cut back on wine, quit smoking? I recently went through my bank statements and got rid of the movies on my sky plan as we never watch them, I've also cut down on takeaways to one a week. You could put this money in a pot when you would usually spend it and watch your savings grow! The best way to save some money off your food shop is to write a meal plan for the week. That way you can work out what you're going to be eating every day using the ingredients you already have and not wasting products. I will be starting to meal plan again this week and to do this, I need to learn how to eat healthier and plan my daily meals. I have decided to start writing down what meals we will be eating every day and sticking to it. Before this i would just walk around the shop and buy everything that caught my eye. If there was only one piece of advice I could give you, it would be not to do you food shop on an empty stomach. I now eat before doing my shop as then I'm not tempted to buy everything I see and tons of junk food. I started doing this and I have noticed that the food shop had decreased and pretty much cut down to half of what I was paying before! A simple way to save some pennies is to switch brands. Especially if you usually buy the finest range or well known brands. Perhaps go down to shops own or even the savers range if you really want to cut down your budget. Of course you don't need to do this for even item you are wanting to buy but maybe just start off with a few items every week and you can see where you are saving money. This is one thing I'm not very good at sticking to. I'm not a cook, and I'm rather lazy to be honest. I would usually opt for a takeaway but now that Harry is here I have been trying to cook more. I have recently got back into cooking and started to make more meals from scratch instead of a ready meal. Cooking from scratch is a lot cheaper and you can also freeze any leftovers! Instead of grabbing lunch on your way to work each morning or nipping out to a local sandwich shop or even worse driving by the drive-though at Macdonalds take your own lunch in! This could save you at least £20 a week as on average people spend £5-7 on lunch each day which includes a sandwich, crisps, some sort of fruit or chocolate and a drink however it would cost your less than half of that if you took your own in. This could save you over £1000 a year! This may not be possible for every household but how about not buying the grocery shop one week a month where you don't buy anything except necessities such as milk and bread. Search your cupboards and freezer and cook with what you already have in the house. You could easily save £50 or more during the month with this trick depending on how much your average weekly shop is. Why not start meal planning and saving any left over meals and freezing them so you have extra meals during that week. Skipping a weeks's worth of shopping will be a huge help to paying off your debt. I've done this a couple of times now over the past year and instead of getting our shopping delivered I went into the supermarket and picked up milk, bread, some fruit and vegetables and used up what I already had at home. I managed to save just over £50 each time by doing this. Of course making cuts to purchases is the obvious way to say money but I still had to make purchases for Christmas and birthdays. I was already signed up to cashback site but didn't use them properly so was missing out on a lot of cashback. Now every time I shop online I make sure I go through one of these sites and earn cashback. I also installed the cashback reminder extension which has made sure I don't missed out on any cashback when I land on a new website. I've made over £500 cashback in the past year. I used a cashback site to compare my car and home insurance bills as well as my gas and electricity bills and immediately switched companies. This has not only helped me to save money off each bill but I also got a decent amount of cashback too! I had a massive clear out at the beginning of the year and sold many second hand items on local Facebook groups such as baby toys and pushchairs. I also sold some items on eBay which were brand new and managed to make over £500. I'm hoping to do this again soon and the money will go towards my house deposit. At the start of the year I started a money saving challenge and bought one of those pots you can only open with a tin opener. I have since opened it as I needed the money to pay off my holiday but I did manage to save £1000 in two months just buy putting in all of my £1 coins or a £5 note when I had one in my purse, all of my tips from work and any money from items I had sold. The 52 week money saving challenge is also a great way of saving money throughout the year and can be used for a holiday, Christmas or what ever you may be saving for, I am also doing this challenge and then the money I save at the end will go straight towards my deposit. This is another challenge I started in January, where I will save a total of £667.95 by the end of the year! 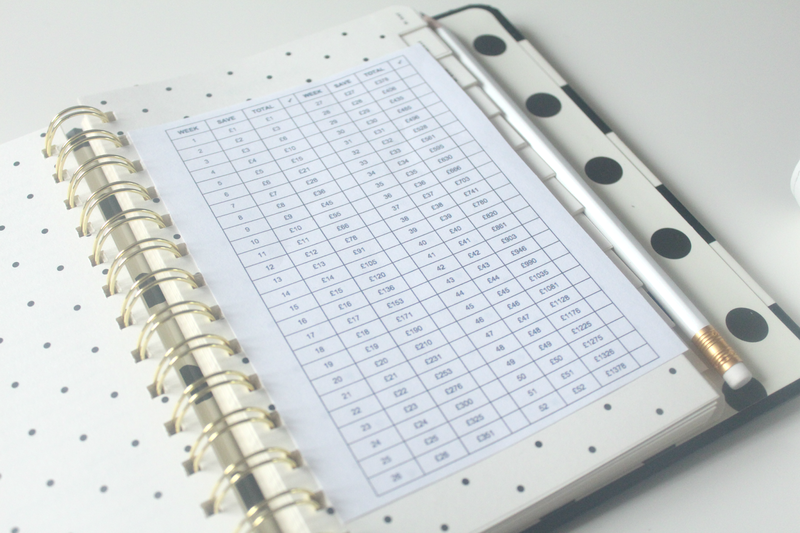 The idea is as simple as it sounds, you save every day of the year using this spreadsheet. This money will either go into my emergency savings or into the house deposit savings. If you're the sort of person who can easily spend on your card, how about going to the cashpoint on payday and taking out the money for that week/month. That way you won't be tempted to just put it on the credit card and can only use that money you have budgeted for. You could get rid of your TV which means you will save £140 a year as you won't have to pay for a TV license if you only watch catch up TV. Buy Netflix for £5.99 a month and use catch up players online or watch dvds instead. One night a week or every couple of weeks make breakfast for dinner instead of a "normal" meal. Eggs are really cheap as is bread and baked beans! Sausages, tomatoes and bacon aren't too expensive either so cook a fry up for all the family. By doing a super cheap meal like this once a week can really cut back on your dinner spending and save a few extra pennies. If you did this 4 times a month you could easily save around £10-15 a month. This may sound silly but if you usually get your hair cut every few months or 6 weeks as recommended at the hairdressers, how about letting your hair grow for a while. I went over a year without cutting my hair and probably saved at least £200. You could even trim your hair in the meantime or get a friend to do it who is training to save some money. A great way to save some extra money is to stop going to the coffee shop every morning before work or on your lunch break! This is unnecessary spending when you could make your own at home and even put it in a travel mug. A latte costs around £2.80 which could save you £14 a week. If you drive, why not get the train or bus instead? What about walking if you're living close to your place of work. If you are on a contract try and get on a family plan which can save yourself and your family money each month. This is a great way of saving money fast. You may be required to pay them some rent however it won't be nearly half as much as what you'd be paying on rent if you're renting elsewhere, plus you won't have any bills! Save on electricity by turning off your lights when you're not in that room and also unplug all your appliances such as the kettle, phone charger and TV when not in use. Use comparison sites to compare the prices at the supermarkets in your local area. This could be for a specific item or your whole shop. You'll be surprised at how much you could save by shopping elsewhere. Buy one get one free - Know when to use these promotions properly. For example on toothpaste, loo roll, stuff you can store in the cupboard that won't go off and will come in handy. When eating out at restaurants, drink water. It's free! You could also switch from drinking fizzy drinks to water at home too which will save you a lot in the long run. Washing clothes in cold water is a world wide known rule and tip to reduce the energy usage of the laundry machine, although if you have kids it may be best n. Saving energy means saving more money. This could save you up to 20% and is a trick that not a lot of people are aware of. Contact your insurance company to ask for more information as the majority will offer a multi discount. Switch your light bulbs with energy saving light bulbs to reduce your energy usage. You can usually pick these up in supermarkets or b&q. They may be more expensive to purchase then ordinary light bulbs but they tend to last longer and you'll save money as they're not using as much energy. Instead of taking your car to a car wash or valeted how about cleaning it yourself! Some basic car washes can cost at least £5 so by simply washing your car yourself at home and taking your time to clean it thoroughly you can save yourself a £5 every so often. Eating out less can reduce your cost by a lot, which could save you up to £1000 a year depending on how often you usually eat out. If you tend to eat out around 2-3 times a week cut it down to just the once, or your could even make a rule to only eat out once a month! A pack of 20 cigarettes cost over £9 the last time I was told which is just ridiculous especially if you smoke 20 a day! I remember when I could buy them for £4 a packet and I'm only 26. If you quit you could be saving yourself at least £50 a week which is £2600 a year! So there you have it. 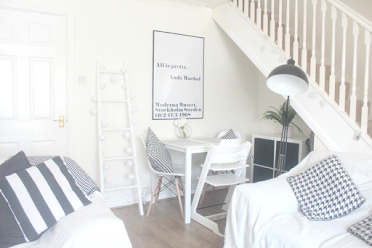 Over 35 money saving tips for first time buyers! If you liked these tips go ahead and check out these money saving tips! Also, if you would love some more tips and advice on how to #SaveSmarter visit Aviva and try their new financial personality tool. Do you have any additional penny-pinching tips for first time buyers? Let us know below! Great post I'm definitely going to start doing more of these as need to start saving for our holiday in November but also want to start saving so we can get a shared ownership place. Some of your tips are very useful but no way would I drink water in a restaurant - save even more money - don't go ! We have just saved our in laws almost £500 a year by switching their energy supplier! Lots of great tips thank you. Some unusual tips too like don't cut your hair, people do spend far too much on things like hair, nails, eyebrows, massage and other beauty things, many of which they could learn and then do at home. Plan weekly meals to avoid last minute (costly) takeaways! Buy supermarket own brands instead of their expensive equivalents. I definitely agree with cutting down on luxuries. My in-laws have 3 or 4 paid for TV services. Totally unnecessary! i'm quite good at this, a lot of these ticked already yay! Some great ideas here in helping to save! I used a cashback site over Christmas and was amazed with how much I got back. My son has opened one of those ISA accounts, chipping away at saving for a deposit for his own place some time in the future. Really good tips - thank you! We saved for a long time and really struggled, but we got there through tightening our belts. Great tips, we are opening our HTB ISA next week. The help to buy saving account is a really great thing, I only wish they had it when I was buying mine! There's a lot of things people expect to have nowadays which people never had in the past such as mobile phones, Sky tv, cars, foreign holidays, new furniture etc. I think the most important thing is to pay the mortgage off as quickly as possible and do without a lot of these luxuries. By doing this you'll save thousands of pounds in interest and pay your mortgage off much sooner! Brilliant..well you learn something everyday.. I think you have covered most, You could also buy all the cheap food that supermarkets knock down and freeze until needed, use a slow cooker and make a meal plan each week. I've saved loads of money since I discovered a wonderful cleaning tips website 'cleanmyspace.com' with loads of useful videos on how to make your own cleaning products for pennies. Interesting article. Quite a few ideas I've never thought about. 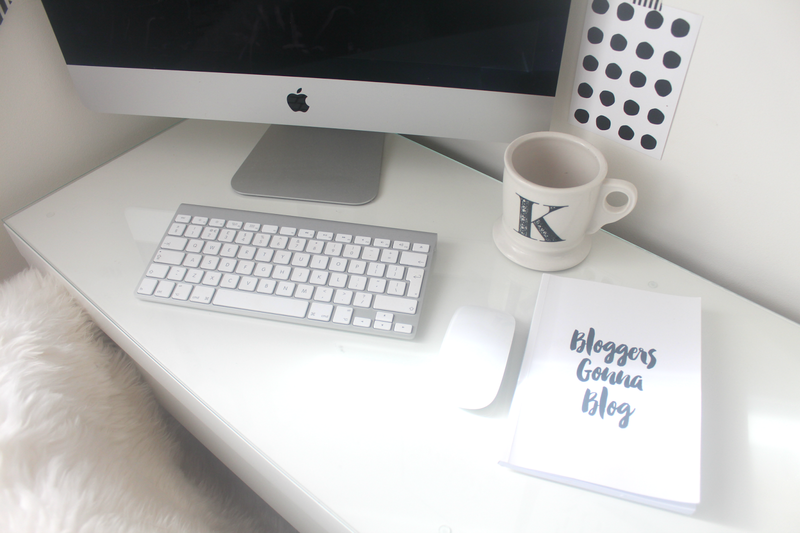 All really useful tips - one day I may buy a house!